Being a responsible manufacturer, we support proportional regulation which is derived from in depth industry research and engagement with all stakeholders. The TPD2 article 20 unfortunately did not benefit from this approach and is not based on research or a sound risk assessment. The development of a robust, proportionate regulatory environment will ensure that smokers are given the right tools to take control of their lives, and benefit vaping’s full potential as the most effective quit smoking product. The right approach for this sector is to categorise it independently of tobacco jurisdiction and create a vaping specific regulation. The fundamentals are already there, but a lot of the detail needs to be developed into something that protects the consumer and future of the industry. Any vape specific regulation should be based on a thorough risk assessment – i.e. identifying the issues are you looking to mitigate through legislation and enacting proportionate measures to safeguard. Governments are committed to developing evidence-based regulation, this is how it is achieved. The following elements are crucial considerations that must be made when developing a vape specific regulation. When the “safety” of vaping is discussed, it must always be viewed in the context of an alternative to smoking. As a responsible business, Cuts Ice products are always developed for and marketed to adult smokers or vapers. Vaping has been recognised as at least 95% less harmful by Public Health England. Numerous reputable public health bodies such as the Royal Society for Public Health, Royal College of Physicians, and Cancer Research UK recognise vaping as an effective way to quit smoking. The relative risk of vaping is not just demonstrated in the “big picture” health concerns like cancer, lung health, and heart disease. Smokers who switch completely usually experience noticeable health and lifestyle improvements after just a few weeks including but not limited to breathing easier, improved sense of taste and smell, and fewer instances of coughs and sore throats. Flavours are the subject of debate within public health communities across the globe. Accusations that vaping companies are using flavours to entice non-smokers and young people to vape are simply not reflected by statistics – PHE found that vaping amongst never smokers in Great Britain remains very rare at less than 1 per cent, similar to the level of use of nicotine replacement therapy. In addition to anecdotal evidence, there is a great deal of research which shows that flavours are an important factor considered by smokers who are looking to switch. Dr Konstantinos Farsalinos, a research fellow at the Onassis Cardiac Surgery Center and the University of Patras, Greece is a seminal voice in his field and has conducted a great deal of research into the importance of flavours for vapers. His research has found that the majority of vapers would find vaping “less enjoyable” or “boring” if flavours were restricted. Worryingly 48.5 per cent of vapers stated that without flavours their cravings for conventional cigarettes would increase, and 39.7 per cent of vapers said that without flavours they would be less likely to reduce or quit smoking. Flavours and choice are a key factor in why smokers quit and do not relapse back to tobacco usage. As a responsible industry we need to ensure that marketing activities cannot be confused as targeting minors and are clearly aimed at adult smokers. As covered above, under 18s are not regularly using vaping products in numbers that even register in the UK. This has not stopped patently untrue arguments to emerge, claiming that young people are using vaping products which act as a gateway to smoking. Worryingly, this myth is still perpetuated by those who should know better, including national media outlets and the World Health Organisation (WHO). As Deborah Arnott, Chief Executive of Action on Smoking and Health (ASH) has said previously, “There is no evidence from our research that vaping is acting as a gateway into smoking.”. Indeed, smoking rates do not reflect any gateway theory. 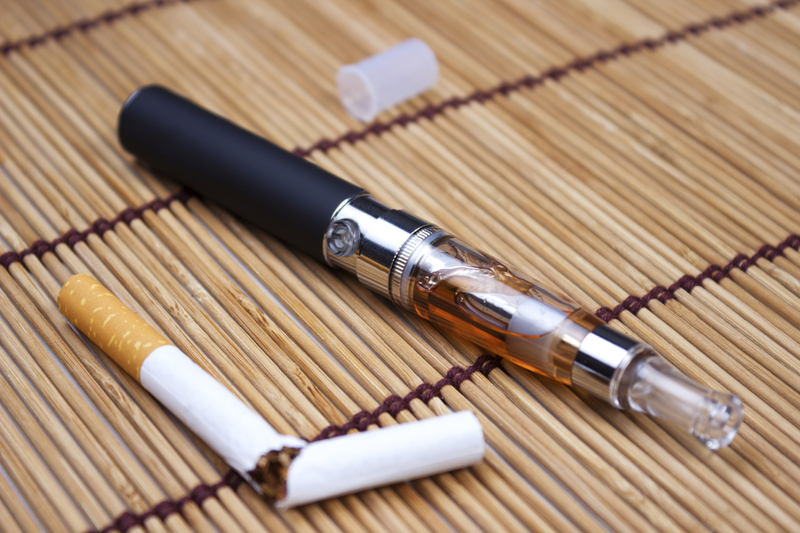 As vaping has increased in popularity, smoking rates have dropped unprecedently. Crucially, smoking rates amongst young people are at their lowest recorded rates in the UK; data published by NHS Digital in 2017 showed that just 7 per cent of 15 year olds are smoking. Numerous academics and public health bodies are clear, the gateway theory does not exist. Legislation in the UK and abroad is clear, vaping products must not be sold or marketed to those who are not of legal smoking age. Cuts Ice agrees that this is a sensible measure, in tandem with our commitments to only market our products to current or former smokers (vapers). We regularly discuss this issue with partners in Trading Standards and other enforcement bodies to ensure our age verification processes are robust and protects the public. Attitudes towards vaping, particularly amongst smokers are trending in the wrong direction. Figures from Action on Smoking and Health show that over a quarter of adults incorrectly believe that vaping is at least as harmful as smoking, and only 13% of adults could correctly identify vaping as significantly less harmful than smoking. These misperceptions are fuelled by a variety of irresponsible actors, none more prominent than incorrect reporting about vaping in the national and international media. The vaping industry is unable to combat these falsehoods because of the perverse advertising regulations which stunt communications with smokers.